For newborns deprived of oxygen during the birth process, the first goal of treatment is always to restore oxygen to the brain and other vital organs. Depending on the severity of the oxygen deprivation, this may be accomplished by mechanical ventilation (machine-assisted breathing), oxygen supplementation (face mask), or extra corporeal membrane oxygenation (ECMO). Recently, hypothermic therapy (cooling the baby in a special chamber) has shown beneficial results in reducing brain swelling and the long-term damages associated with it. Oxygen deprivation can also cause a baby’s heart to tire and stop pumping. In that case, doctors may use CPR, defibrilation (shocking the heart back into rhythm) and drugs (like epinephrine and atropine) to get the heart restarted. Severe loss of oxygen to the brain can also cause the baby to suffer seizures. In this instance, various anti-convulsant drugs like ativan, depakote, or carbatrol may be given. Techniques for preventing damage to brain cells are an area of ongoing research. Hypothermia therapy for neonatal encephalopathy is the only evidence-supported therapy, but antioxidant drugs, control of blood glucose levels, and hemodilution (thinning of the blood) coupled with drug-induced hypertension are some treatment techniques currently under investigation. Hyperbaric oxygen therapy is also being evaluated. Mild to moderate cases of hypoxia (low oxygen) generally have no long-term impact on the baby’s brain. The outcome in cases of severe cerebral hypoxia will depend on the amount of brain tissue deprived of oxygen, and the speed with which oxygen was restored. If cerebral hypoxia was localized to a specific part of the brain, brain damage will be localized to that region. A general consequence may be epilepsy. The long-term effects will depend on the portion of the brain that was damaged. Damage to the left side of the brain typically causes problems with speech and language. Damage to the right side of the brain may interfere with the ability to express emotions or interpret what one sees. Damage on either side can cause paralysis or decreased mobility and muscle coordination. Treatment for brachial plexus injuries (Erb’s Palsy or Klumke’s Palsy) includes splinting, occupational or physical therapy and, in some cases, surgery. Some brachial plexus injuries may heal without treatment. Many infants improve or recover within 6 months, but those that do not have a very poor outlook and will need further surgery to try to compensate for the nerve damage. The ability to bend the elbow (biceps function) by the third month of life is considered an indicator of probable recovery, with additional upward movement of the wrist, as well as straightening of thumb and fingers an even stronger indicator of excellent spontaneous improvement. Gentle range of motion exercises performed by parents, accompanied by repeated examinations by a physician, may be all that is necessary for patients with strong indicators of recovery. There are many treatments to facilitate the process of recovery in people who have brachial plexus injuries. Improvements occur slowly and the rehabilitation process can take up to many years. Many factors should be considered when estimating recovery time, such as initial diagnosis of the injury, severity of the injury, and type of treatments used. Some forms of treatment include nerve grafts, medication, surgical decompression, nerve transfer, physical therapy, and occupational therapy. Having an effective Occupational or Physical Therapy program is important when dealing with the unfortunate circumstances of brachial plexus injuries. One of the main goals of rehabilitation is to prevent muscle atrophy (loss of muscle tissue from disuse) until the nerves regain function. Electrical stimulation is an effective treatment to help patients reach this fundamental goal. Exercises that involve shoulder extension, flexion, elevation, depression, abduction and adduction facilitate healing by engaging the nerves in the damaged sites as well as improve muscle function. Stretching is done on a daily basis to improve or maintain range of motion. Stretching is important in order to rehabilitate since it increases the blood flow to the injury as well as facilitates nerves in functioning properly. Although uterine scar ruptures for women laboring for a VBAC are rare, the medical response is a rapid cesarean. The longer it takes to diagnose and respond to a uterine rupture the more likely it is that the baby and/or the placenta can be pushed through the uterine wall and into the mother’s abdominal cavity. This places the mother at increased risk for hemorrhage and the baby at increased risk for brain injury or death. Informed Choice Current US health law and medical-ethical guidelines give childbearing women who once gave birth by cesarean the option of laboring for a VBAC or scheduling an elective repeat cesarean. Women with one prior cesarean should be counseled by their doctors about VBAC during the early part of their pregnancy. Your doctor should give you comprehensive information about the benefits and risks of VBAC and elective repeat cesarean. Ultimately the decision about how to deliver your baby is YOURS. 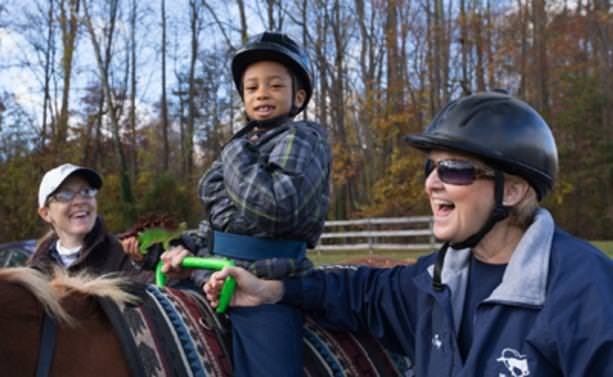 Maryland Therapeutic Riding uses horses to help disabled children build core strength while creating a positive emotional bonding experience. Learning to ride a horse requires balance and coordination. 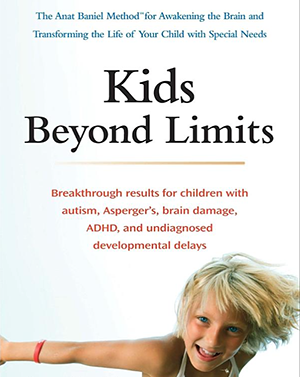 Many physically disabled children lack muscle tone, and consequently, their coordination is severely lacking. Equine therapy gives a disabled child a physically enjoyable experience (learning to ride a horse) that also helps develop muscle tone, balance, and coordination. 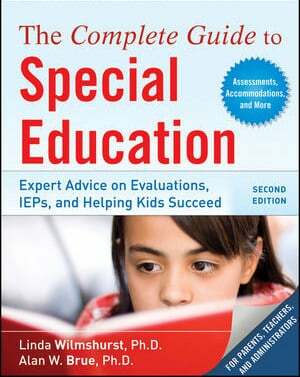 It also helps the child develop and improve upon hand-eye coordination. It achieves the same results as standard physical therapy but in a more pleasant setting. For children with special needs the benefits of martial arts are invaluable. The structure and discipline the martial arts bring to a child’s daily life assist the child with overcoming the extra challenges presented by his/her disability. Water decreases pressure on bones and joints, which is beneficial for children with physical disabilities. Being in the water is also fun for children, which can be an important motivator for exercise. Swimming lessons help kids with special needs in a number of key areas, including greater muscle strength and physical endurance, increased flexibility, more self-control, and, in many instances, improved behavioral outcomes. 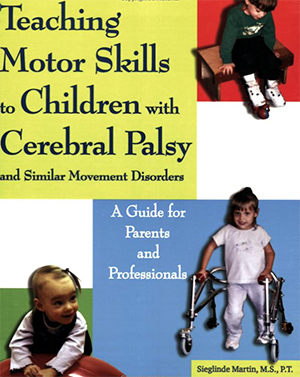 This book features a day in the life of a child with cerebral palsy through the eyes of Ceana, a young girl born with CP. 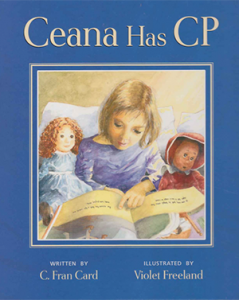 It is illustrated to depict realistic scenarios and invites children to hunt for the hidden “CP” symbol on each page. This uplifting story follows Ceana and her family, while also discussing the ways that children with CP are uniquely inspiring. 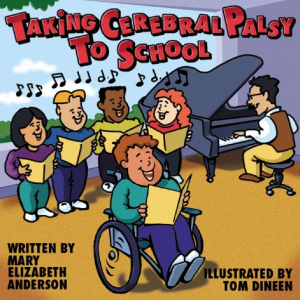 Taking Cerebral Palsy To School follows the adventures of Chad, a child with CP, and his classmates. 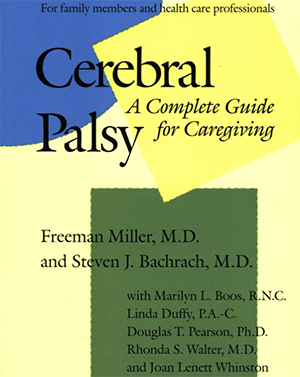 This book aims to answer many questions that peers of children with CP may have. It does so in a way that children can learn to empathize with some of the challenges that individuals with cerebral palsy may have, while encouraging inclusivity and acceptance in the classroom. 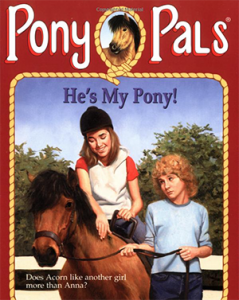 Anna and her neighbor’s niece Christine take on the stables in He’s My Pony! Christine loves horses, but due to her cerebral palsy, she has been unable to experience the joy of riding a pony of her own. Christine and Anna’s horse soon develop a close bond, showcasing the benefits associated with equine and related therapy methods. Michelle’s older sister Amy was born severely disabled and diagnosed with cerebral palsy. 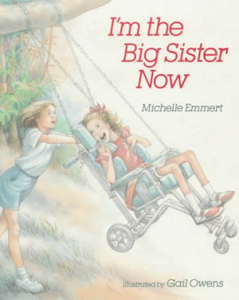 I’m The Big Sister Now invites readers to explore the joys and occasional obstacles associated with having a family member that is diagnosed with CP. 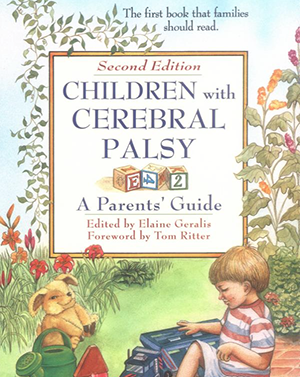 This is a great book for children with CP to read along with their siblings to explain exactly what cerebral palsy is, while encouraging unconditional love for one another. 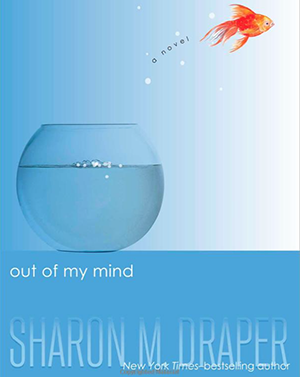 In this uplifting memoir, 14-year-old Aaron Philip details his journey from being a baby in Antigua to a teenage artist living in New York City. 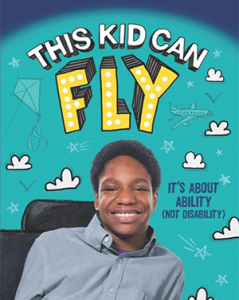 This book aims to shed light on the way that disabilities are perceived by others, and how a good attitude and a sense of humor can get you through any of life’s challenges.